After graduating from the University of Iowa, Richard Yoakam became a reporter and newscaster for WHO, Des Moines and later was News Director at KCRG-TV, Cedar Rapids. In 1957 he left to become an assistant professor at Indiana University, where he put broadcast news into the curriculum of the journalism and radio-TV departments. 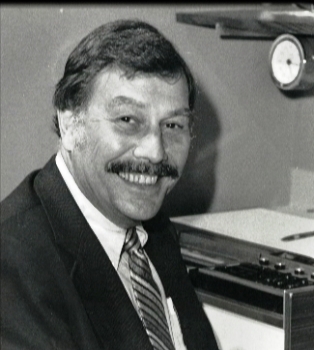 He designed the facilities for teaching television news reporting editing in the renovated Ernie Pyle Hall in 1975. During the 1960’s and 70’s he occasionally took leave for professional refreshment working at NBC News in New York and Washington. He was Indiana state manager of election coverage for NBC from 1964 to 1976. Yoakam helped launch many broadcast careers, and former students continued to seek his advice. His honors include the IU Alumni Association Distinguished Teaching Award. Yoakam retired in 1989 and died in 2004.